Google announced their new podcasts app is out yesterday. It's a simple app that Android owners can user to listen to podcasts. If you haven't take the steps to get your show in the Google App, I talk about that here. 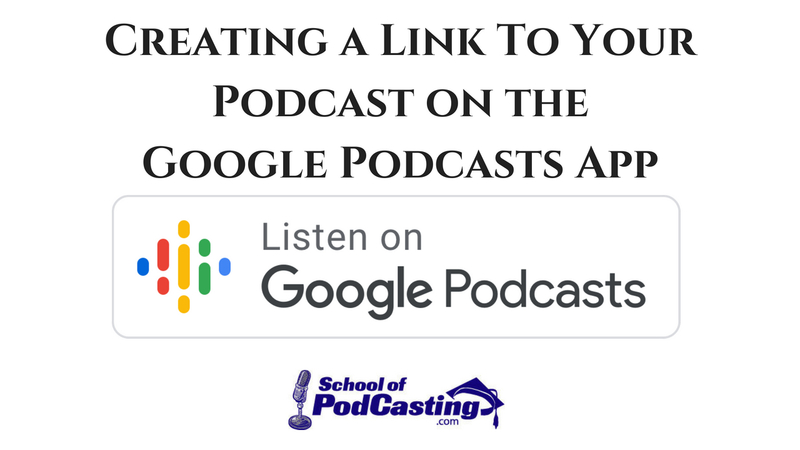 But if you're in Google Podcasts, how do you link to it? Easy – Google Podcasts makes it easier than ever to listen to all the world’s podcasts on Android. Smart – so it pays attention to what you like, giving you AI-powered recommendations for new stuff you haven't discovered yet. Cross-device — Works out of the box in Google Search and the Google Assistant, so you can pause and pick up where you left off across devices. Get the app for free on Google Play. Looking into the future, audio is going to be a first-class citizen throughout Google. Where Can I Create A Google Podcasts Link to My Show?